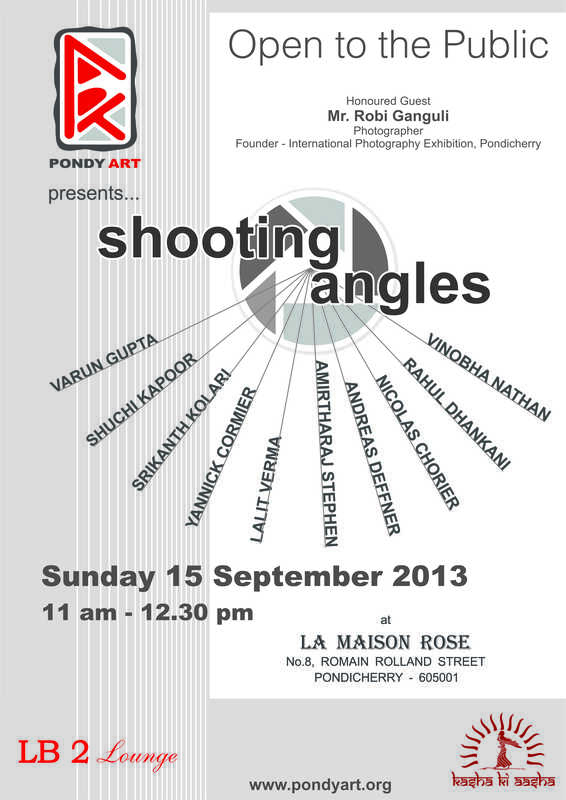 This past weekend, Pondy ART hosted an incredibly successful “Shooting Angles” at Maison Rose, Pondicherry. Imagine 9 professional photographers (two were absent due to illness and assignments) in the same place with forty more photography lovers, amateurs and local professionals sharing ideas, discussing the latest in technology, and reviewing the evolution of the art, the equipment and the processing methods and software. Mr. Robi Ganguli, with his 7 decades of experience in the field and Yannick Cormier, founder of Trikaya Photos, stayed center stage next to guest, Mr. W.V.R. Murthy, Pondicherry Tourism Department Secretary and fielded questions regarding the loss of the art of dark room film processing. Then, Andreas Deffner, Amirtharaj Stephen, Lalit Verma, Vinobhan Nathan, and Shuchi Kapoor all stepped up to the plate and offered their experience and comments to the open discussion covering everything from framing the shot, to style and specialization. Pondy ART’s goal for the event was to promote photography in general to the Pondicherry public and also to get feedback on what Pondicherriens are looking for in terms of events, further education and exhibitions. And “Shooting Angles” did what it was supposed to. Many stopped by to find out more about photography. AND we now know, we need to keep putting those exhibitions out on the street. We also discovered a demand for photography workshops. Pondy ART is working hard to meet those demands. Our exhibition schedule is almost set through February. Check it on our website page https://pondyart.org/comingupatpondyart/ to find out who will be showing in the next few months! And Pondy ART will be offering a 4 day workshop in collaboration with Documentary Photographer, Yannick Cormier by the end of the month. Learn more about choosing a topic, framing, editing and more from this internationally recognized professional. Follow us here or on facebook for full details, dates and locations. All are welcome, but please note, participants must already know their way around a camera. So, keep that viewfinder focused right on ART. 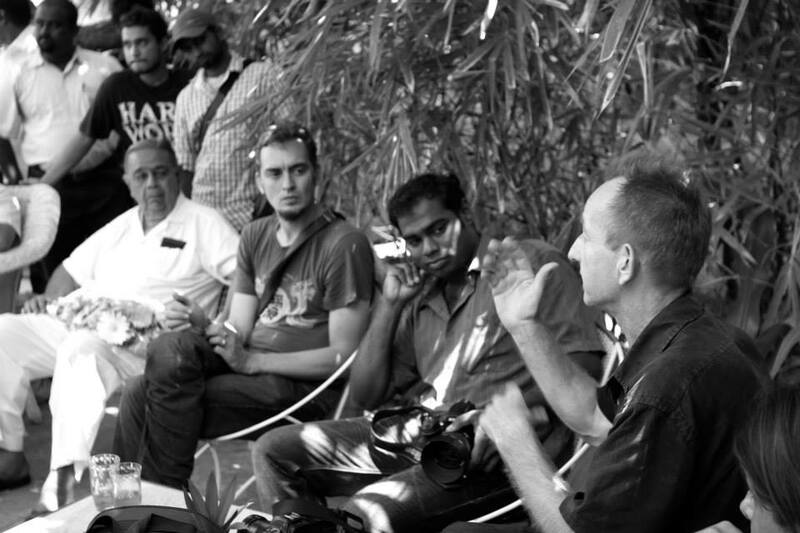 Pondy ART is just getting bigger and better, thanks to all the photographers and guests and this weekend’s meeting of the minds! nice……………. i am also interested,,,,,,,? Previous Previous post: Pondy ART in ACTION!